Robert Weller began the conference with an excellent overview of exchange relationships in culturally Chinese religions. Among the many definitions that structured his talk was a conceptual distinction between exchange relationships occurring in three different types of economy – the contractual economy, the economy of politics, and the gift economy. He noted that these overlap, but proposed them as conceptually distinct in order to assist our thinking about them. The contractual economy is the economy of promises: any promise must be backed up by an institution of legitimation. The economy of politics includes [formal] taxes and [informal] “rents” (any compulsory extra payment beyond the market value of the goods/services received, including corrupt payments). The gift economy is regulated by social norms; he noted that cash money tends to be considered the lowest form of gift in Western societies, but cash is often the expected gift in Chinese societies (at a wedding, for example, non-cash gifts may be considered inappropriate). One of the arguments that Weller made was that religious institutions in mainland China once had the ability to levy formal taxes and informal “rents” on their constituency, much like a state. In recent decades, however, and especially with the redistribution of temple lands, these religious institutions have had to rely more on the voluntary (or “voluntary”) aspects of income generation. In other words, exchanges between religious institutions and the laity have shifted from the economy of politics towards the contractual and gift economies. I include this lengthy exegesis of an aspect of Weller’s talk to highlight, in particular, the reference to social embeddedness. It was a theme that ran throughout the conference. Tessa talked about “the social deepening of the market.” The apparent simplicity of the term and the concept belies its complex implications. “The social deepening of the market” is a re-insertion of a particular mode of economic exchange (“capitalist exchange,” if you like) into society; it can thus be thought of as a stage that follows Polanyi’s disembedding of the economy from society. If, in a critique of capitalism, there is a hint of sadness—or even nostalgia—for the passing of social embeddedness as described by Polanyi, this implied value-system is further upset by the experiences of the Ueda group. On one level, the Ueda group’s local currency, called the Ma~yu, operates to obviate the need for social reciprocity. Rather than keeping a “mental ledger” of gifts and favours, debtors and creditors, and racking your brains for creative ways to reciprocate without seeming purely instrumental, you simply pay somebody in Ma~yu. The local currency embodies and abstracts reciprocity (reciprocity is itself an agglomeration of affect and material value), so it serves to make good the debt without (as Japanese yen or any other fiat currency would) severing the relationship. Nevertheless, by making good the debt, it frees the individual from the web of debt and credit – reciprocity – that is a more or less important element of all societies, and an element that is crucial to the “traditional societies” in which the economy is embedded in society. So, the use of Ma~yu operates to disembed. What to make of this? The relationship between society and economy is a constant process of dis-embedding and re-embedding of different forms of exchange (“the market”) in society. Movement in one direction (for example, dis-embedding) cannot be universally categorised as either “bad” or “good.” If anything, “good” is when neither tendency goes too far. 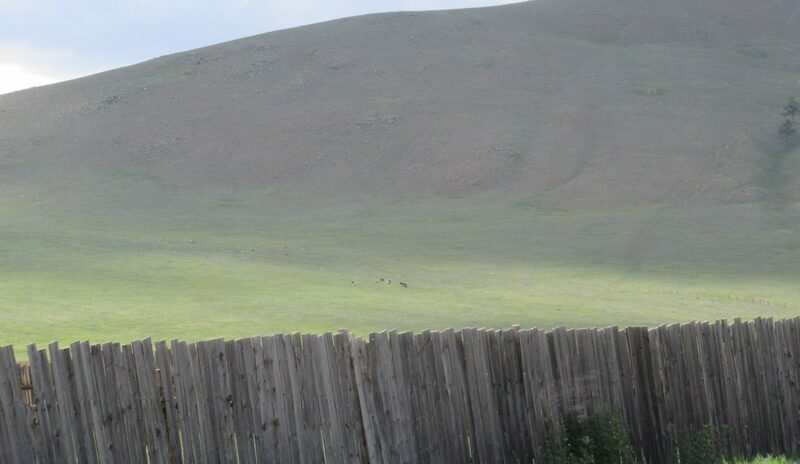 Should we set up Science Shops in Mongolian Herders’ Communities? Is it possible to set up science shops in Mongolian herders’ communities to sustain the link between herders and scientists? There is a positive signal from Inner Mongolia: two local scholars are planning to establish a space in Eastern Ujimchin banner where university students, researchers and herders can meet together to exchange knowledge and carry out community based research.